JDP supply a range of Access Ducting also known as Service Channels, in the form of concrete trough units with complementary lids. This system can be used to house most types of services including power and communication cables, and pipes carrying liquids and gases. This range is available from internal widths 150mm to 1250mm and internal depths from 115mm to 1000mm. Other sizes can be produced as special bespoke items. This gives an extremely comprehensive range for multiple applications including pipes carrying liquids and gases. 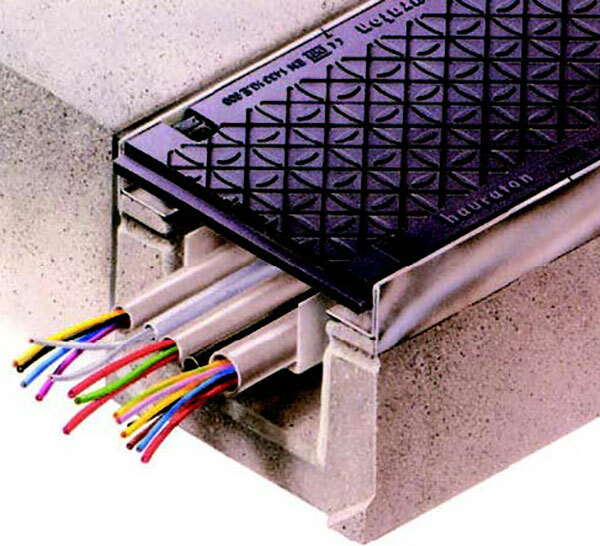 Can be surface laid, installed flush with the surface of the ground or buried. This range is available in six channel sizes from internal widths 100mm to 500mm. 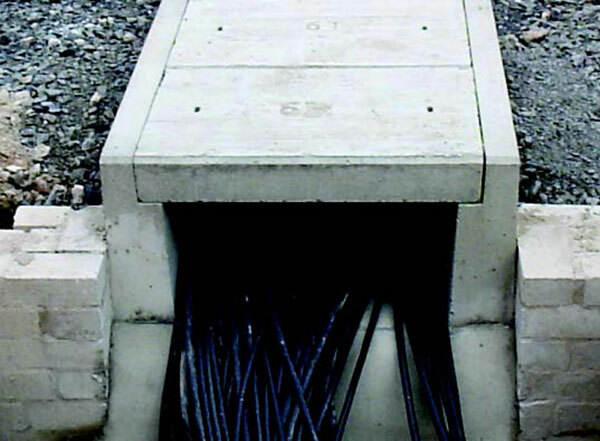 This system has a unique bolt-less Side-Lock system, allowing the ductile iron non slip covers to be removed quickly and re fitted easily during cable laying and removal. 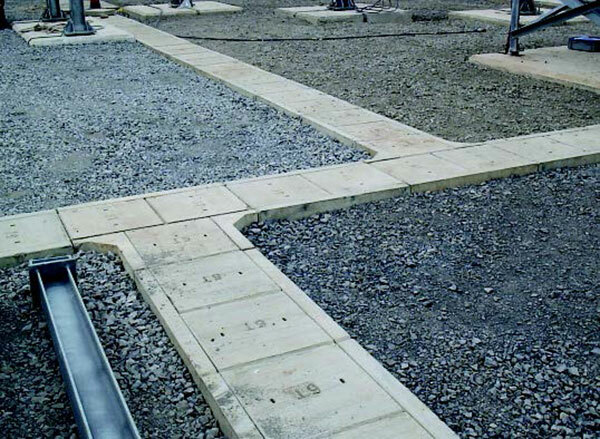 The ductile cover fits flush with the surface and can be fitted with coloured plugs to identify type of service.